This month, we’re introducing an improved sharing interface in Scoop.it Content Director. Based on your feedback, this new design with extended capabilities is now available and will help you distribute content to your social channels faster and better. 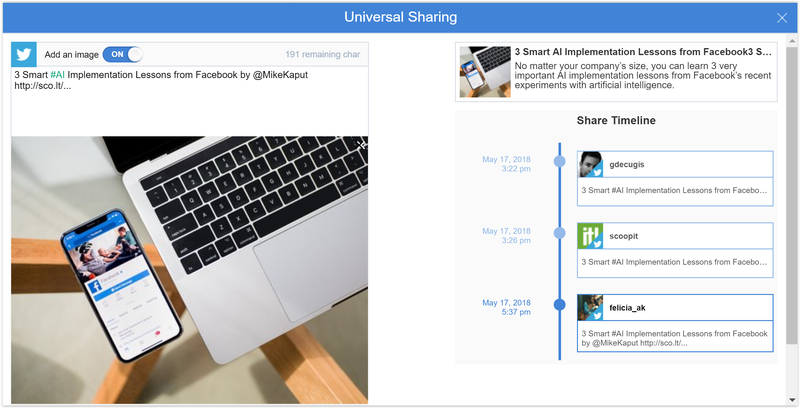 You can now visualize a preview of any of your social media posts before hitting publish. Even better: you can also edit your posts' title, image and text on LinkedIn. 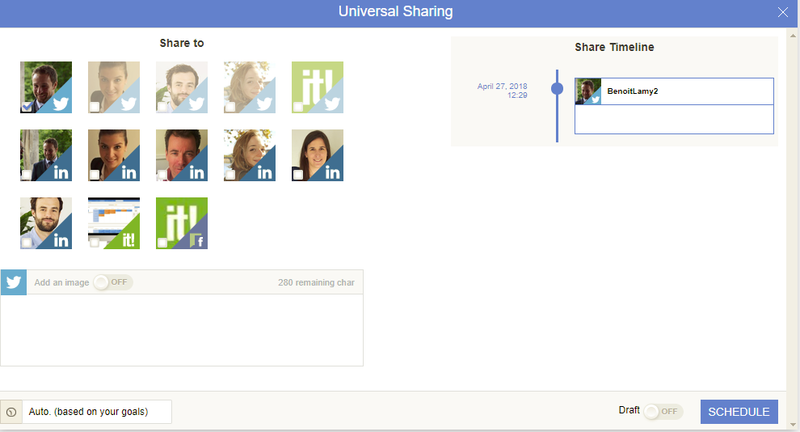 You can now create a social media message for multiple channels at once from the Smart Calendar. For instance, click on “Create a tweet” and chose which additional social channels you want to cross-post that message to. With the new "Reshare" button, you can now repeat any existing or scheduled social media post to other channels and times.